What an amazing year in VR / AR technologies (so far). At this year’s F8 Developers Conference, Mark Zuckerberg and team announce the world’s first augmented platform. While Google Daydream / Google Cardboard, and a handful of other developers have created several framework/platforms for virtual reality and 360 media, Facebook is first to market the AR framework. And what better use case for AR than with social media. Let’s stop for a second. The $3B acquisition of Oculus in 2015 all makes sense. And although it took a few years to get here, the seeds of the AR/VR seeds Facebook invested is finally coming to fruition. Timing is of essence here. They couldn’t pull this stunt in 2015 much less 2016 when consumer VR hardware was starting to be introduced into the market. The market and consumers slowly were introduced and starting to accept AR/VR at it’s value. Providing both an AR and VR developers framework via Facebook was instrumental. Much like, Apple created a standardization for developer framework, alongside with Android developer framework, Facebook’s standardization d for AR (and VR) and being the first to market was a strategic move. Social media is also the most logical use for AR applications (other than gaming). While this is probably the boldest move yet, tech/software companies that move into the consumer electronics world don’t always fare well. The biggest challenge seen is with market adaptability. Can Facebook push Surround360 successfully? Take a look at the Oculus retail push this past Christmas. In addition to an exorbitant price point, the Oculus just wasn’t ready for consumer acceptance. Several consumer 360 cameras have been in the market the last few years including Ricoh, Samsung and Nikon. However, the price point remains at a heavy price $499+ for 4K capabilities. Prosumers and professionals using Go Pro’s Omni (which entails 6 separate Go Pros and a hell-of-a-time in post-production) are already to a certain (4K+ quality). Unfortunately, I haven’t seen any technical specifications, and pure examples of in-camera stitching. We’ll just have to wait to see if they can outperform. In 2016, Facebook Live video proved to be a success. Brands and individuals leveraged it and the market consumed it (primarily anyone with a smartphone and video capability can do it). 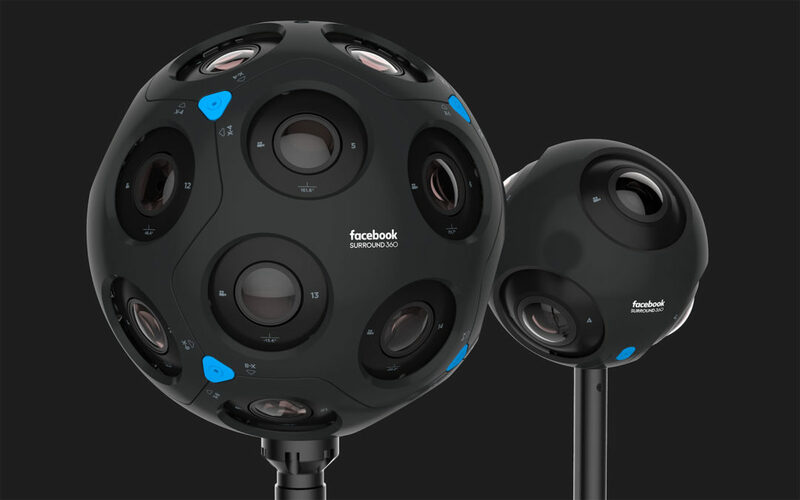 Recently, Facebook introduced 360 Live streaming, with partnership of consumer cameras like the Insta360 and the ALLie Cameras. 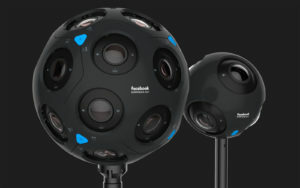 Surround360 is also said to have 360 live streaming capabilities as well. The biggest challenges here (again) is market adaptability, as consumers would need to purchase an additional 360 camera to enable live streaming. Maybe years from now, 360 camera capability would be potentially be built in all standard consumer iPhone and Android devices. Only then, can I see 360 Live being an equivalent success as Facebook Live. I’ve gone through the F8 archives and could NOT find any updates on 360 formatted media in Facebook ads. Maybe next year, Mark? Moving forward, I’m absolutely excited at the opportunities that has been opened for VR developers and VR content creators, especially creating the mainframe for AR/VR within the Facebook ecosystem. This is an exciting time for my constituents in virtual reality and augmented reality!